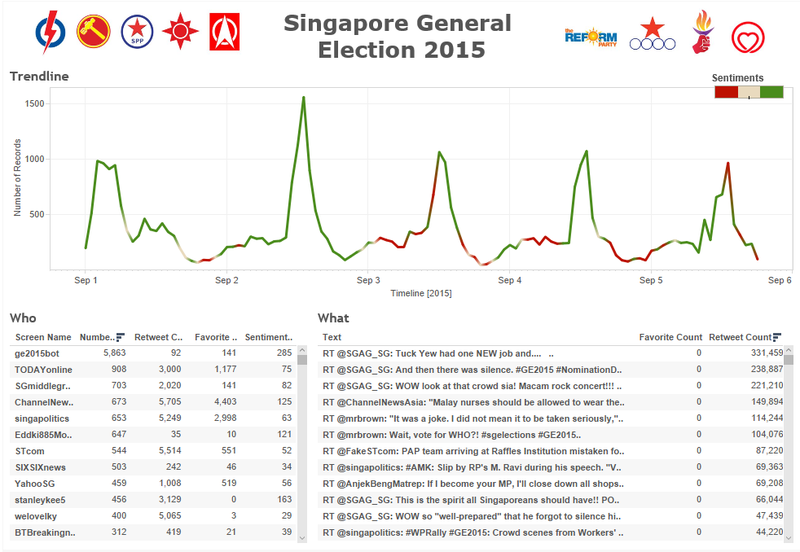 GE2015 dashboard tweets is created by me. 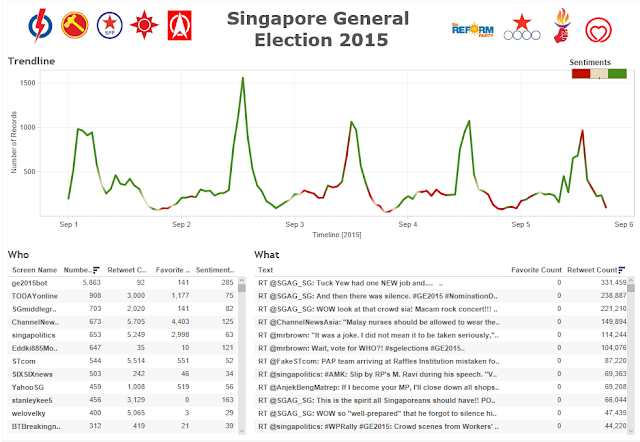 It is based on my free time and interest to know the insights about what people are talking about during the election days. It is not supported, funded or aligned with any political party. Pls reminded that these information does not ask you who to vote for. It is just information extracted from tweets from one main source, twitter. Compare to my previous project, I have added sentiment scores to show if the tweets is geared towards negative or positive tweets. You can check out the interactive dashboard here.